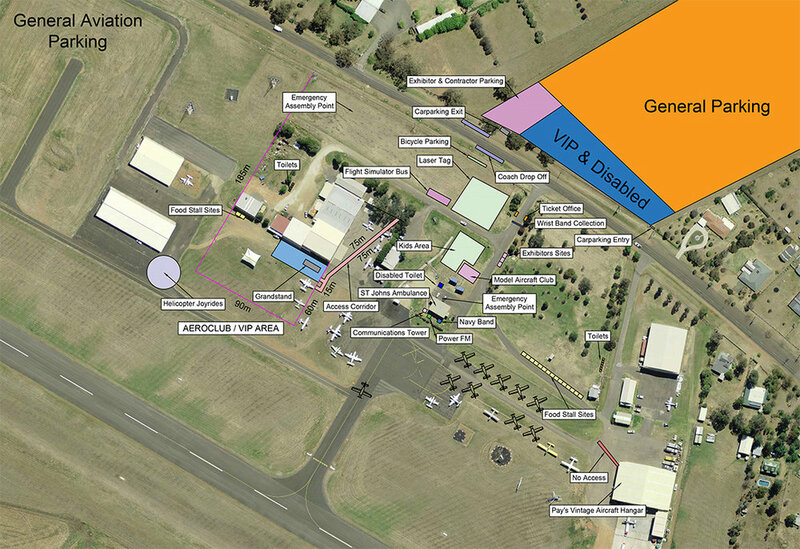 Parking at Bengalla Warbirds over Scone is in a field directly opposite Scone Regional Airport. If you hold a VIP Pass or disabled sticker please show your ticket to the parking marshal as you enter the carpark. There is a special VIP and disabled parking area at the front of the field nearest to Bunnan Road. The infirm or disabled must let the parking marshall know if they require assistance to get from their car to the ticket gate. If you require assistance a utility vehicle will follow your vehicle to where you park and drive you in the utility vehicle to the ticket gate. Catch the shuttle bus to and from Bengalla Warbirds over Scone on Sunday 25 March. It will run in a loop from 8.45am to 10.45am picking up at the Stafford Street Scott Memorial Hospital bus stop, the corner of Liverpool and Kelly Streets, Scone Railway Station and then out to the airport. The return service will be every half hour from 2pm to 4pm from Bunnan Road. Passengers can simply pay in cash on the day and cost is $4 each way for adults and children over 13 years and $4 return for Seniors and kids aged 4-12 years. For more information please contact Scone Visitor Information Centre on 6540 1300. 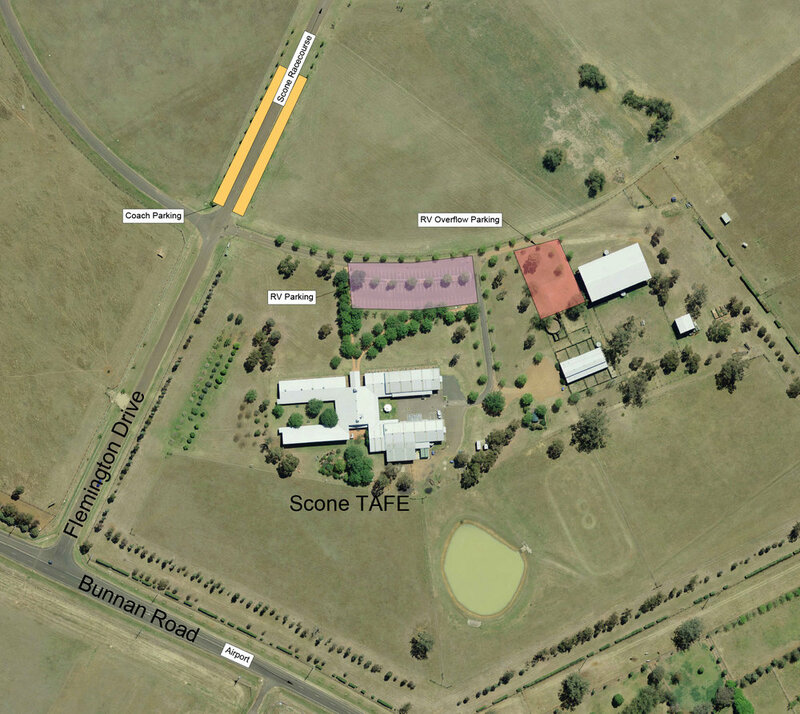 Across the road from the Scone Regional Airport where the airshow will be staged, there will be free RV and campervan parking available at the Scone TAFE campus. RVs are invited to arrive at TAFE Campus from 3pm on Friday 23 March and are permitted to stay until 10am on Monday 26 March. Users can simply head into Scone to use the dump point and potable water facility on the corner of Aberdeen and Kingdon streets. All Upper Hunter towns - Scone, Aberdeen, Merriwa, and Murrurundi - are officially ‘RV friendly towns’ recognised by the Campervan and Motorhome Club of Australia (CMCA) for facilities suited to touring in self-contained recreational vehicles.